Wow! When I reflect on my experiences this semester in MC 4001 (PR Writing), that is the first word that comes to mind. From the sleepless nights resulting from completing assignments at the last minute, to having the task of completing a mini-campaign, this semester in MC 4001 has been hectic. As a junior mass communications major at LSU, I can truly say that this course has been the most demanding mass comm course that I have taken by far. Although this course has been demanding, frustrating and very stressful at times, being in this course has also been a rewarding experience. This course has prepared me for a career in public relations, and I would like to share a few reasons why in this blog. As I shared in a previous blog post link, when I sat in MC 4001 for the first day I was overwhelmed. Listening to Dr. Jensen Moore read the syllabus was equivalent to a child listening to a horror story. Thoughts instantly rushed through my mind. How am I going to do all of this work? What kind of grade am I going to get? Will I have to drop this course? Throughout the course, all three of those questions have been answered, and I am satisfied with the answers. MC 4001 has given me knowledge and experience that will be applicable to my future job. I have gained a lot of experience as a writer. I now have to ability to write a long list of documents that include: pitch letters, media advisories, social media releases and fundraising letters. Before enrolling in this course, I had no idea what some of those documents were. This service-learning course has also given me the opportunity the work on a campaign with a real life client. Working on a campaign for a real life client has been an exciting and eye-opening experience. My agency, Spotlight BR, has focused on helping BRAC expose visitors and residents of Baton Rouge to entertaining nightlife options. We have developed a SCVNGR trek that features eight venues that can serve as source of entertainment for adults at night. The trek is composed of a series of challenges that take place at the eight locations. Rewards are given to application users who check-in and complete each challenge at the locations listed. If you would like to find out more information about SCVNGR, here is a link with more info here. It is amazing that I can finally see the finish line. The end of this service-learning course is near. The journey has been long, difficult and tiring at times, but if I had the choice, I wouldn’t change anything about it. Below is a link to a video of me describing my experience as a MC 4001 student. If you are interested in seeing how this course affects the rest of my tenure as a college student and how it propels me to successful career in PR, you should continue to follow my blog. You can also follow me on Twitter @_Ramon_H. “Truly successful businesspeople don’t have a mountain of contacts whose names they barely know. Rather, they have a carefully developed and cultivated portfolio of contacts.” This is an excerpt from an article that I read on the importance of building relationships in business. 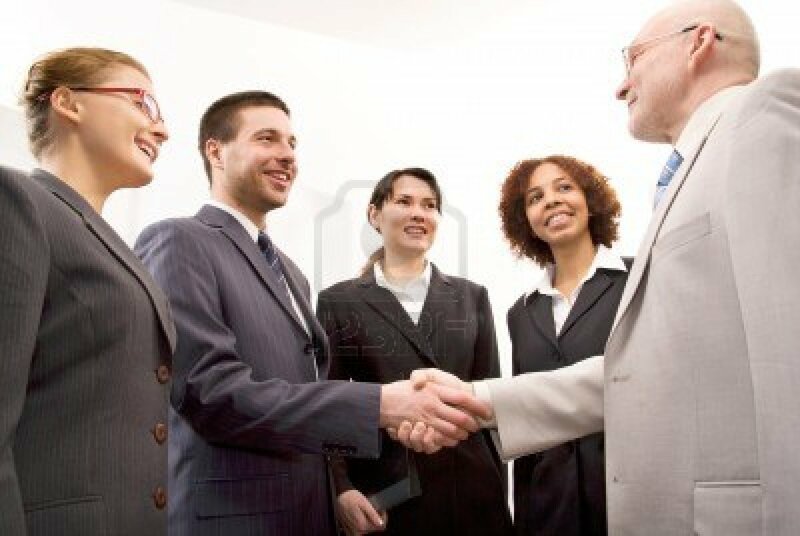 If you would like to read more about this article feel free to click the following link http://www.shapironegotiations.com/blog/the-importance-of-building-relationships-in-business/. I felt that this excerpt was essential to my blog post this week, which focuses on stewardship, social responsibility and civic engagement. Stewardship is an essential quality for all individuals who work in the field of public relations to have. As PR professionals we must focus on building strong relationships with clients, stakeholders and other professionals in our field. Without the ability to construct mutually beneficial relationships, you will not succeed in this field. In my MC 4001 public relations writing class, we are currently practicing stewardship. As I stated in my previous blog post (see here), this semester my MC 4001 class is participating in a service-learning project. In this project, we have partnered with BRAC to help them achieve their mission of leading economic development in the nine-parish Baton Rouge metropolitan area. In order to have a successful partnership, we have realized that building a strong relationship with the client is a necessity so it has become a priority to my group. The partnership between my group, Spotlight BR, and BRAC does not only focus on stewardship. It also ties in with the ideas of social responsibility and civic engagement. An article from the New York Times gives the definition of civic engagement. Civic engagement means working to make a difference in the civic life of our communities and developing the combination of knowledge, skills, values and motivation to make that difference. To read the rest of the article click the following link http://www.nytimes.com/ref/college/collegespecial2/col_aascu_defi.html. This definition explains the goal of the partnership between Spotlight BR and BRAC. The purpose of our relationship is to give back to the Baton Rouge metropolitan area. Our use of SCVNGR to spotlight nightlife in the Baton Rouge metropolitan area will hopefully lead to more economic development in this area, inform residents of local businesses and establishments that they have never heard of and give exposure to businesses that are not well known in the area. By achieving our mission, we will be making a difference in the Baton Rouge metropolitan area. To find out more about the partnership between Spotlight BR and BRAC, continue to follow my blog https://ramonhardy13.wordpress.com. Also, feel free to follow me on Twitter https://twitter.com/_Ramon_H. Public relations prose from the not-so swampy Louisiana capitol.